Pelenna Patchworks: Two fresh new ranges in stock - Flower Power and True Blue! Two fresh new ranges in stock - Flower Power and True Blue! 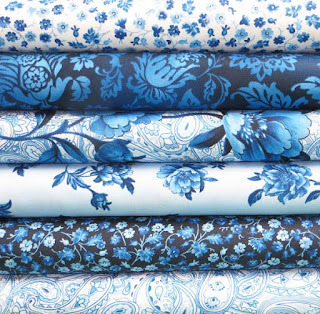 Perfect to usher in the Summer in style, we have two fresh new fabric ranges in stock - True Blue from Timeless Treasures, and Flower Power from Dear Stella Designs. True Blue is a beautiful range comprising floral and paisley prints in the classic blue and white colour combination - all six prints are available as a stash pack or a fat quarter pack giving 5% off the price of buying the fat quarters separately. Flower Power is a pretty, contemporary floral range with bright watercolour style flower designs in bright multicolours, yellow, pink and green. 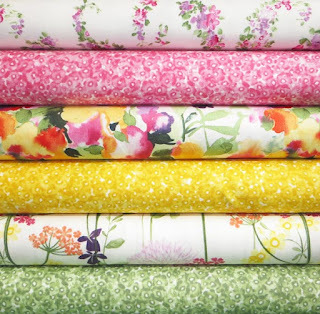 Again you can get all six fabrics in a discounted fat quarter pack or stash pack.